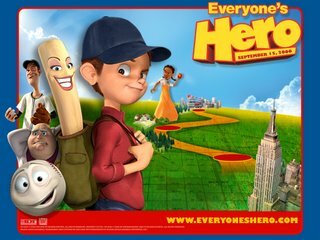 I took my kids to see on Sunday to see "Everyone's Hero." We all enjoyed the movie. We actually wanted to see "Open Season" but when we were standing in line to purchase tickets, we were told that it was sold out. So, I quickly scanned the board to see what was available and we settled on this movie. It wasn't showing for another 25 minutes, so we had plenty of time to get some popcorn and good seats.